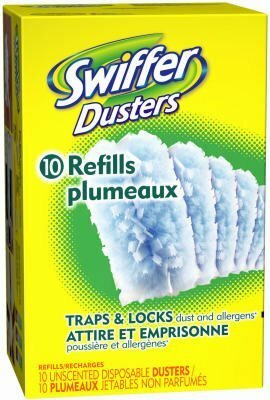 Swiffer Duster Cleaner refills trap and lock dust and allergens such as pet dander and dust mite matter. It is made of specially coated fibers that grabs dust. It is can be used anywhere and fits into tight hard to reach spaces making it versatile and flexible. If you have any questions about this product by Proctor & Gamble, contact us by completing and submitting the form below. If you are looking for a specif part number, please include it with your message.